Kritters Thoughts: A historical fiction tale with a fantastic ghost story embedded inside. 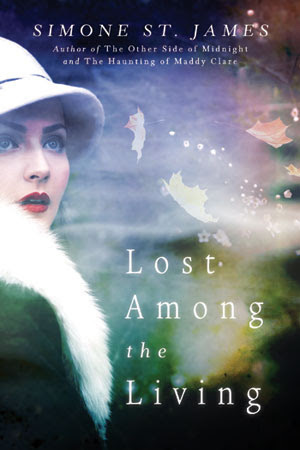 If you have followed this blog for awhile you know I love a good historical fiction and I am not usually a fan of fantasy things, but for some reason this ghost story inside the historical fiction worked so well for me! First, the historical fiction tale of the story was full and could have been the full story by itself but it would have been like a lot of other tales. What set it apart was the clever inclusion of the ghost story/murder mystery and they complimented each other. The historical part - a semi war widow because his body hasn't been found she is taken in by their family and there is where the ghost story entered. I don't know really where I stand in the debate about ghosts' presence in our world, but I am not against it. So I enjoyed reading a story that was of course fiction, but showed the presence of ghosts in a somewhat of a believable light. I loved the reveal of the who dun it and how we the reader find out who did the deed - it was at just the right time in the book and I think I am pleased with the outcome. If you are already a reader of historical fiction, try this one, its different.